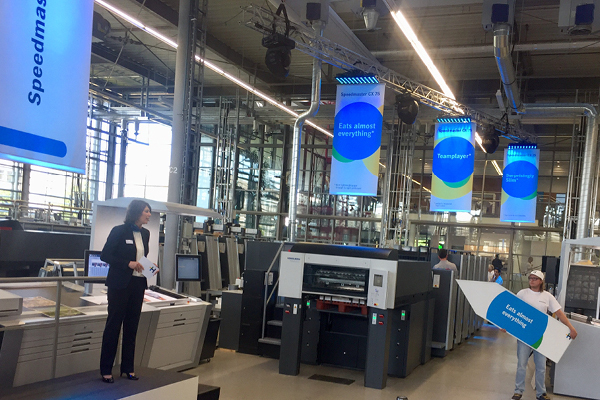 Tom and James have just got back from a visit to Heidelberg to witness the launch of the Speedmaster CX75. 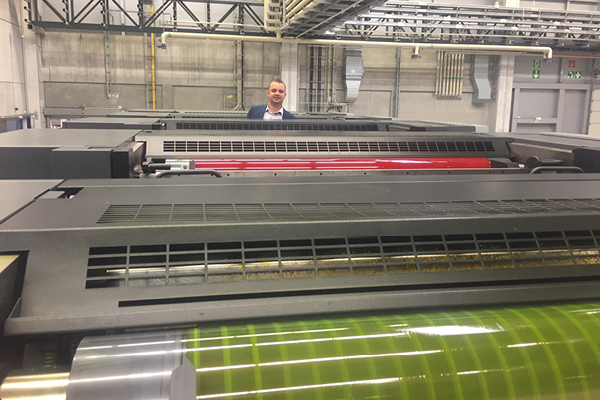 The LE-UV version of the press will be installed at Vale Press early next year and Vale will be the first printer in the world to have the machine. The B2 CX75 LE-UV will produce 15,000sph and will allow Vale to run a more specialist options like heavy boards, greaseproof paper and vinyls. Having LE-UV also means the sheets come off the end of the press dry meaning there is no waiting time, allowing for more jobs be work and turned and finished faster without any fear of marking. Can anyone spot Tom hiding in the ink ducts of an XL162?